We are MEASURE WORKS Corporation in Japan. We rent radiation measurement equipment (small surveymeter, geiger counter or pocket dosimeter) to foreign people coming to Japan! We belive that radiation level around Tokyo is really normal, almost less than 0.1microSv/h. But some foreign people may be worried about it during their visit to Japan. We can rent small surveymeter to you by low cost. If you can't come back to our shop, you can keep it though we keep your deposit! To rent, please come to our shop. Our company is located at Shinjuku-ku. Nearest famaous hotel is Hotel Chinzanso Tokyo or Rihga Royal Hotel Tokyo. You can walk to our shop from these hotel. Please see the google map. Please make a reservation by internet ,phone or fax. We rent three kinds of equipment during your visit in Japan by fixed price. Payment should be done by cash on ahead. Please note that the term for rental is based on a day, not an hour. For exam, the price for rental is same in case of below. ・Receive the items at 10:00 on 1st January and bring it back to us at 12:00 on 6th. ・Receive the items at 14:00 on 1st January and bring it back to us at 12:00 on 6th. ・Receive the items at 14:00 on 1st January and bring it back to us at 16:00 on 7th. ・ Pleae note that our business hour is from 10:00 to 17:00(Week Day only). Please send an e-mail with the information as below or call us for reservation if you're in Japan. You need to come to us to pick the items up. Also you have to bring the items to us for return. We ask you to do the pre-payment and charge 10,000JPY as a deposit to rent the items. When you come to us again for return, we'll give it back to you. Please note our business time is from 10:00 to 17:00. If you delay to come to us, please call us. 1F GrandlieSA 339Yamabuki-cho, Shinjuku-ku, Tokyo. Nearest subway station is Edogawabashi of Yurakucho Line or Waseda of Tozai Line. Please see the subway map and google map. We started our business in 2006. We sell the radiation measurement equipment mainly. 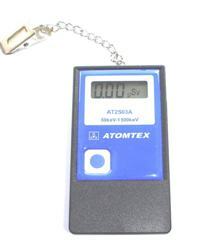 We have more than 10 years experience in the market of radiation measurement equipment in Japan. Also, we started the rental service and calibaration service in 2012. We really expect you enjoy the trip in Japan without any anxious thought.